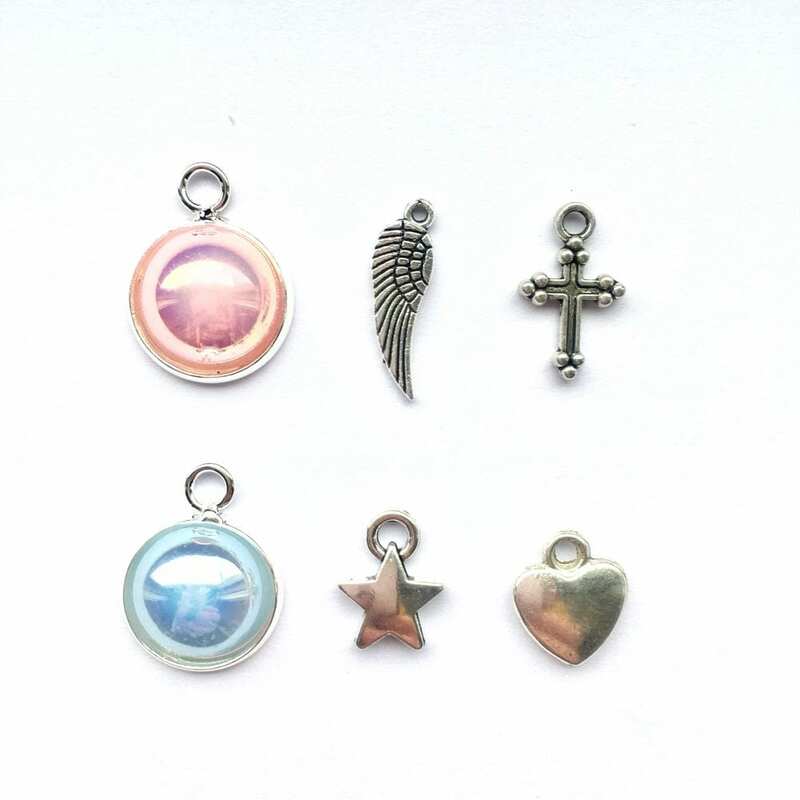 Extra charms to personalise your necklace! Please read the full description below…! SKU: N/A Category: personalise it! 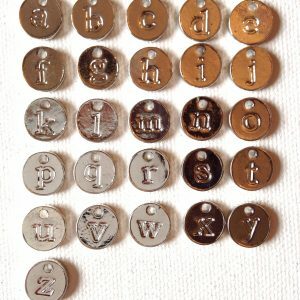 These new extra charms offer you a few more ways to personalise your necklace…! Baby charms: Available in the two sweet shades of light pink and light blue, these pretty pearly charms are an adorable way to represent a new arrival. Mini wing charm: A nice symbol of freedom or angel protection, this mini wing has lovely intricate details. Cross charm: this would be a perfect addition to a First Communion present…! Star charm: a lovely way to say “follow your dreams” or “reach for the stars”! 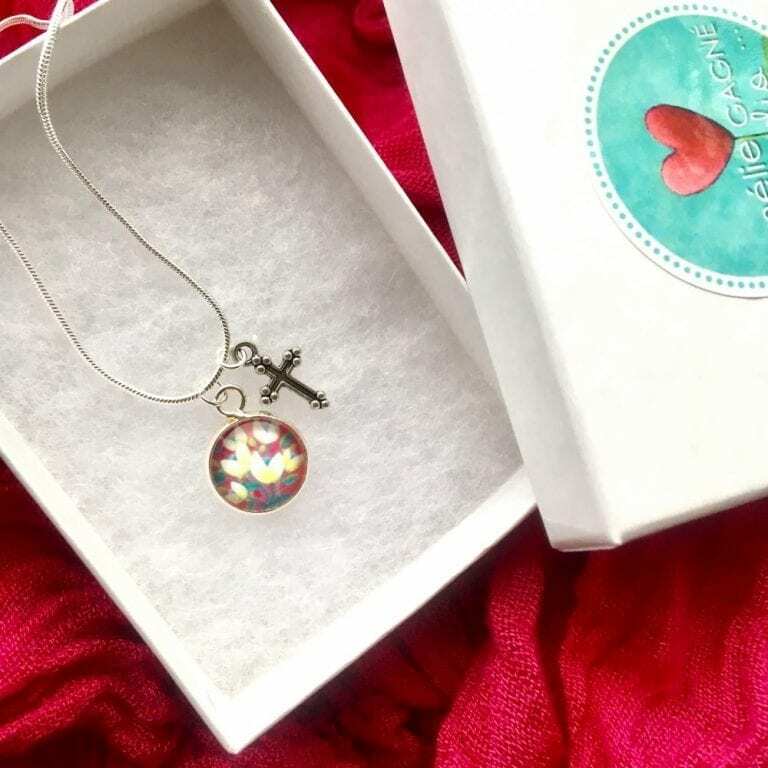 Heart charm: a cute little way of making your necklace extra special. The last picture shows you my popular medium necklace and my mini necklace so you can see the size of the charms in comparison. First, select a necklace of your choice (have a look here) and add it to your cart. Then you can come back here and select your charm of choice in the drop down menu. If you would like more than one charm, please select your options for the first one, add it to your cart and come back to this page to repeat for each individual charm. 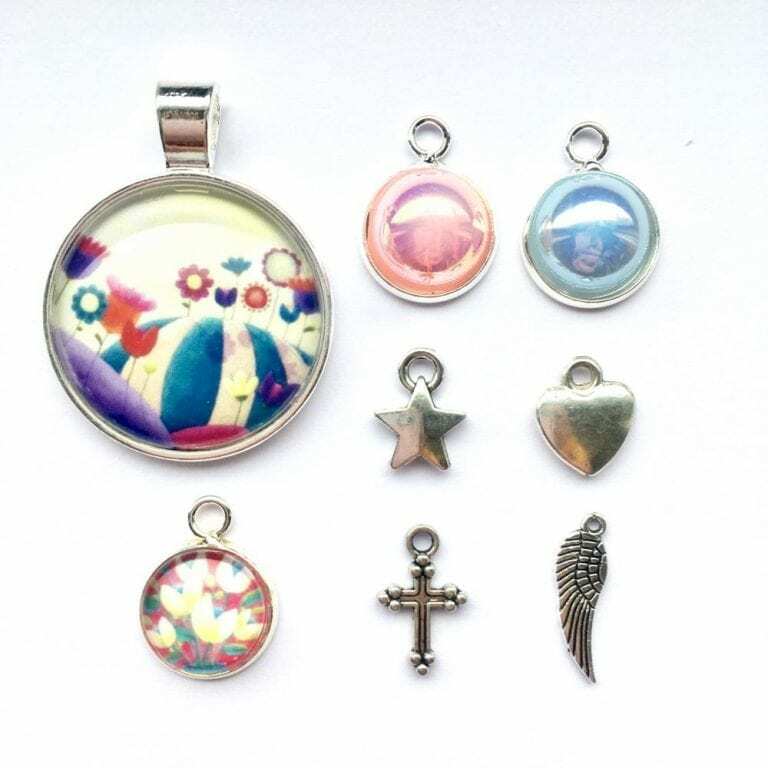 And I do have more charms here by the way…! *Don’t Forget!! 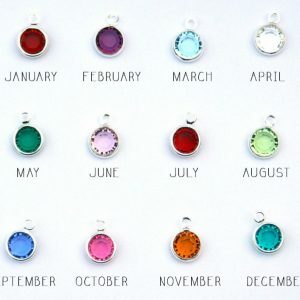 If you order more than one necklace, let me know on which one will I be adding the charm(s) to!